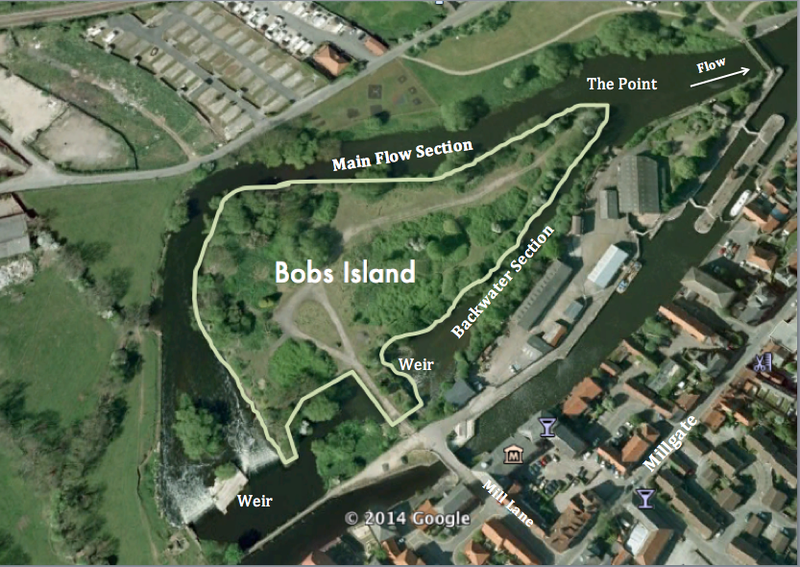 Bobs Island splits the River Trent into a main flow section and a backwater. A weir is situated at the start of the main flow section and the backwater section. 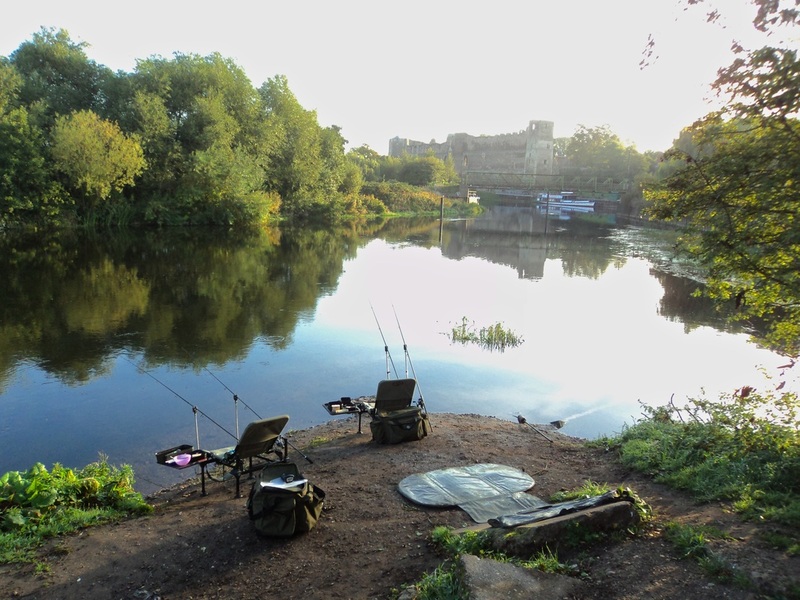 There are a mixture of swims around the island including turbulent weir swims, shallow fast water stretches and deeper slower moving stretches. 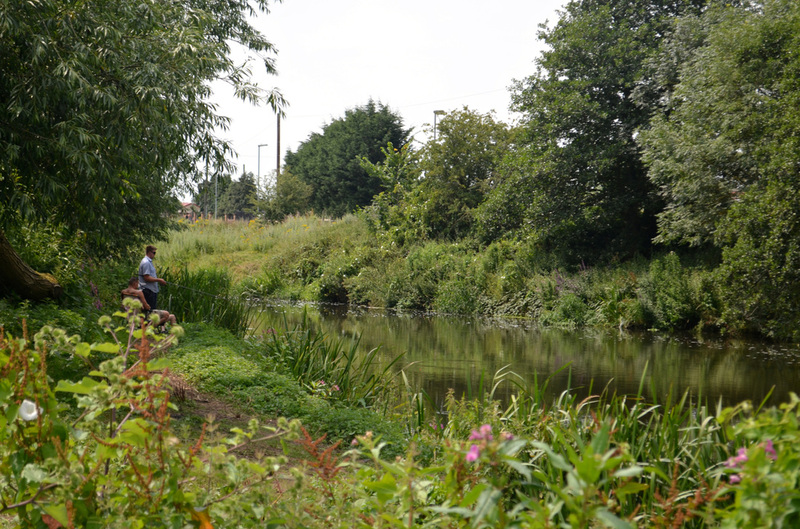 The island and most of the opposite bank is lined with trees and other features to fish too with every peg being different to the next giving the angler a range of options depending on the species they wish to target and tactics the wish to use. No Littering - please take your rubbish home to keep the Island tidy for you and other anglers. 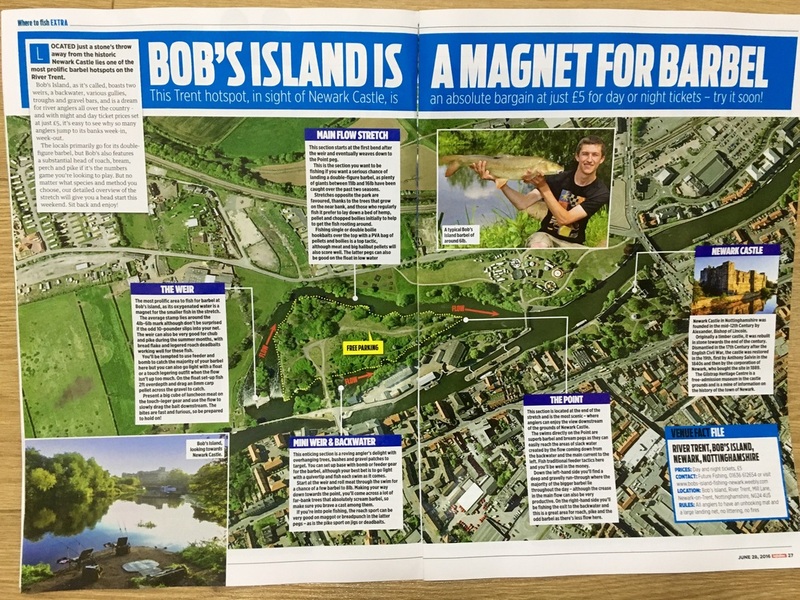 Bobs Island is located in the centre of Newark-on-Trent and only a couple of minutes drive from the A46. Turn off the A46 onto the B6166 (Farndon Road). When approaching the town/leaving the town (depending on which direction you have come from) turn off at Millgate (one way road). When driving along Millgate turn off at Mill Lane and drive over the humpback bridge and onto the Island. Check out the Fishery Photos to see what Bobs Island looks like! Check out the Catch Gallery to see what can be caught on Bobs Island!